152 hwy to N. Ambassador Dr. Go N. to NW Tiffany Springs. East on NW Tiffany Springs to N. Dawn Ave. N. on N. Dawn and take your first left. House will be the 3rd on your left. Kansas City is located in Missouri. Kansas City, Missouri 64154 has a population of 475,378. The median household income in Kansas City, Missouri 64154 is $45,376. The median household income for the surrounding county is $68,638 compared to the national median of $53,482. The median age of people living in Kansas City 64154 is 35 years. 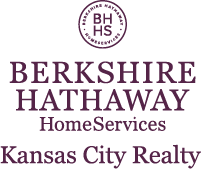 I am interested in 9312 N Chatham Avenue, Kansas City, MO 64154.